Career and Employment Resources is celebrating with special events all month! 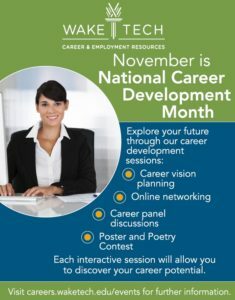 For details check out the Career & Employment Resources page on Wake Tech Xtra! Career, Employment, Interview, Leadership, Resume. permalink.